You might want to listen to Gold Forever by The Wanted as you read this post. As the school year starts off with a bang, my time blogging for Life @ U of T comes to a close. My summer has been an exciting one – probably one of the most exciting and fulfilling I’ve had yet. Looking back, it’s amazing to see how much I’ve actually done. Got to see that U of T actually cares about what we have to say. And to think, it all started because I ate a hot dog. About two weeks ago, my dad and I had ‘the talk’ about my ‘future plans’. He said, “I think you’re at a point in your life where you’re too comfortable. It’s as if you’re content with where you are now, and that’s where you want to stay. It’s like you don’t want to do better and learn more.” His comment made me… Well, I felt indignant. I didn’t like it, and it made me feel uneasy. My gut reaction was to tell him that going to university was learning, and that I am learning and trying to be better – it’s just not that easy. If it were 2nd year me, or even 3rd year me, it would have been a perfectly valid point. But as almost-4th year me, that excuse sounded almost hollow. Did it really seem that way? Did I really look ready to be “done” with learning? I think that a lot of the learning that takes place in university doesn’t just take place in class, passively absorbing whatever it is your lecture is about. As cliche as it sounds, this summer I learned that learning is also about who you meet and how you interact. Most of all, learning is about how much you care about making yourself uncomfortable and doing something about it. To be completely honest, if I hadn’t blogged for Life @ U of T and wasn’t asked to just “do something on campus”, I probably would have spent most of my summer doing the same things day in, day out. Summer class, work, home, internet, sleep, repeat. But because I was put on the spot, I had to seek thing out. It wasn’t the most comfortable feeling in the world, especially after realizing that U of T is more vast and complex than I had imagined. As a general rule, I don’t like doing things I’m unfamiliar with. It almost felt impossible to find something to do because, well, I didn’t know what to do. It was as if there was this door, and I was pushing it open. The more I saw behind the door, the more it opened, and the more I wanted to try. Eventually, my excitement about life at U of T grew. So much so that, for the first time since first year, I’m practically bouncing into class. I want to talk to my professors. I want to stay up all night trying to make a website (for now, at least). I want to talk to my classmates and actually get to know them as people, not just other bodies in a room. I want to go to meetings and feel inspired to do more, be more. The more you look for opportunities to try something new, the more those opportunities present themselves. Our job as learners is to keep looking for those opportunities. Otherwise, you’ll miss out on some of the best experiences of your life. Here is my take home message to everyone, not just first years: I want everyone on campus to feel uncomfortable. I want you all to confront it, and then get excited about overcoming that uncomfortable-ness. Thank you, readers, for being on this summer journey with me. I wish you all the best of luck in the coming school year! 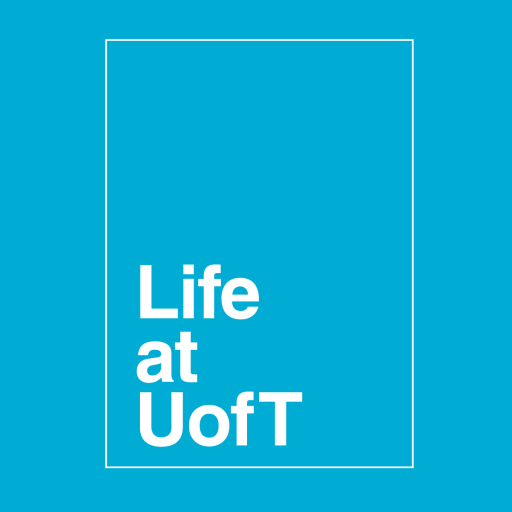 You may see me flitting around the @lifeatuoft twitter now and then. You might even see me on campus here and there. Come and say hi! Until then, good bye Life @ U of T.
Pingback: Moving Along « Can you hear me now? Next Post What is networking, anyway?